Posted under Health Guides. Updated 21 May 2018. Perhaps you know someone at school or have a sibling or relative who has a diagnosis on the autism spectrum, or perhaps you have been diagnosed with ASD (autism spectrum disorder) yourself. More than 1 in 59 kids in the United States have been diagnosed with some form of Autism Spectrum Disorder (ASD). This guide was created to answer commonly asked questions about ASD. Autism is a neurological (brain) disorder that most often shows up during the first three years of life and affects how people develop. People diagnosed with ASD are said to be on a “spectrum”–some people are affected a lot and some are affected only a little, but the main characteristics of ASD in teens are limited social awareness and difficulty communicating effectively with others. They may have several really intense interests and/or repetitive behaviors or sensory sensitivities (like trouble handling certain noises or smells). What are the types of Autistic Spectrum Disorder (ASD)? In 2013, the DSM-5 changed the definitions of Asperger’s Disorder and Pervasive Developmental Disorder so that they are now included in the definition of Autism Spectrum Disorder. People diagnosed with ASD can be affected in different ways. Unfortunately, there are no lab tests (such as a blood test) that can diagnose ASD. Most often a parent/guardian or someone close to a very young child notices some of the signs. If the child’s parent/guardian or health care provider is concerned, the child will likely be referred for an evaluation by a specialist. A developmental specialist (such as a neurologist, developmental behavioral pediatrician, psychiatrist, or psychologist) will make the diagnosis. Other health care providers specializing in caring for children and teens with developmental disorders including behavioral therapists, occupational therapists, and speech language pathologists will do tests to determine whether or not a child or teen needs special services. Diagnosis by standardized screening by the age of 2 is ideal, however many children are not diagnosed until they are older. How does ASD affect a teen? Since Autism limits a person’s ability to communicate, teens with ASD may have trouble fitting in and making friends. Because they may have unusual behaviors and poor social skills they may be teased and left out of social activities. Sometimes they really have no interest in other kids and would rather be alone, but other times they wish they could make friends and just don’t know how. This can make them feel lonely. If you have been diagnosed with ASD, it’s important to know you are not alone. There are many people who can help you and talk to you. 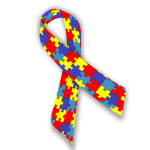 A few good resources are Autism Society of America and the Autism Asperger Network. The cause of ASD is still unknown. There’s been a lot of research that suggests that ASD may be caused in part by a genetic disorder (a type of condition that runs in families). Research studies have also looked at changes in brain structure and chemicals within the brain as possible factors. Studies have shown that vaccines (shots) do not cause ASD. How can ASD be treated? Applied Behavioral Analysis: Applied behavioral analysis is a kind of behavioral therapy that is designed to teach behaviors and skills. It’s also useful in reducing or getting rid of negative behaviors. Special Education Programs: These programs provide very organized support and focus on helping someone with ASD develop social, speech, language, self-care, and job skills. Social Skills Coaching: These programs provide direct teaching of expected ways to behave and interact with others. The programs that work best include peer models who can help include and coach their classmates and friends with ASD. Medication/Mental Health: Medication is sometimes prescribed to help some symptoms of ASD. Mental health professionals often help families find the right therapy based on a person’s specific needs. Unfortunately, this is something that researchers don’t know right now. However, with the right treatment that includes social, speech and language, motor, and cognitive therapies, a person with ASD can learn skills that help them improve their quality of life and contribute more effectively in the community. I have a friend/relative with ASD. How can I help them? Be kind. It’s always nice to be kind to others, regardless of whether they are like us or different. Be patient. It may be frustrating when your friend, sibling, or family member with ASD doesn’t pick up on social cues, but try to remember that ASD affects a person’s social awareness. They may say inappropriate things because they don’t have the same kind of “filter” or social instincts that other teens may have. Ask them how you can help, and if they would like you to help point out these types of behaviors (in a private conversation). Get advice from a parent, teacher, or another adult. It’s helpful to get tips about communicating with someone with ASD from a person who has experience. There may be a way to volunteer and become involved with helping teens with Autism Spectrum Disorders (ASD) in your school or in your community. If you’re interested, see if there’s a program for students with special needs/disabilities in your school, and ask if you can help. There may also be volunteer opportunities in your community, and help is almost always needed. These types of programs usually match teens with a special needs student. By getting involved with your peers who have special needs, you can learn a great deal about yourself and make a lasting impression on another teen’s life. Some teens who have worked with special needs youth have such a rewarding experience that they decide to major in special education, communication disorders, psychology or pre-med or a related area in college so that they can work with children with ASD as a career.